(Bloomberg) -- Volkswagen AG will build a new plant in southern China, doubling production capacity in the country as car demand booms. The factory in Foshan, Guangdong province, has a capacity to assemble 300,000 vehicles a year and will open in 2013, VW said in a statement today. VW's production capacity in China will double to 3 million vehicles within four years as the carmaker invests 6 billion euros ($7.2 billion). Automakers are expanding in China, which surpassed the United States as the largest auto market last year, as demand soars. Daimler AG, the world's second-largest luxury carmaker, announced plans last month to build an engine factory in China as part of a 3 billion-euro investment there. China's passenger-car deliveries last month gained 26 percent from a year earlier to 1.04 million units, the China Association of Automobile Manufacturers said yesterday. Five-month sales rose 55 percent to 5.68 million units. 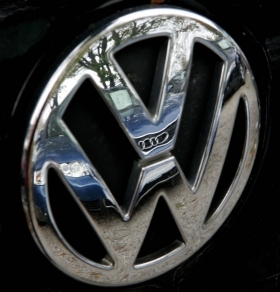 Volkswagen, the largest overseas carmaker in China, said today sales in the country through the end of May gained 48 percent to a record 778,000 vehicles.